Situated in Bradford, this hotel is within 1 mi (2 km) of Bradford Cathedral, Wool Exchange, and Colour Museum. Alhambra Theatre and National Science and Media Museum are also within 1 mi (2 km). Bradford Forster Square Station is 12 minutes by foot and Bradford Interchange Station is 21 minutes. Located in the heart of Bradford, this eco-friendly hotel is within a 5-minute walk of Alhambra Theatre and National Science and Media Museum. Wool Exchange and Colour Museum are also within 10 minutes. Bradford Interchange Station is 8 minutes by foot and Bradford Forster Square Station is 14 minutes. Located in the heart of Bradford, this hotel is within a 10-minute walk of Bradford Cathedral and Wool Exchange. Alhambra Theatre and National Science and Media Museum are also within 15 minutes. Bradford Interchange Station is only a 4-minute walk and Bradford Forster Square Station is 12 minutes. Located in the heart of Bradford, this hotel is within a 10-minute walk of Wool Exchange, Alhambra Theatre, and Bradford Cathedral. National Science and Media Museum and Colour Museum are also within 15 minutes. Bradford Interchange Station is only a 2-minute walk and Bradford Forster Square Station is 13 minutes. 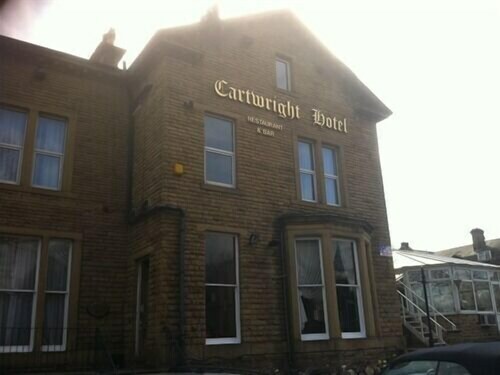 Situated in the business district, this hotel is 1.7 mi (2.7 km) from Richard Dunn Sports Centre and 1.9 mi (3.1 km) from Odsal Stadium. Alhambra Theatre and National Science and Media Museum are also within 6 mi (10 km). Low Moor Station is 20 minutes by foot. 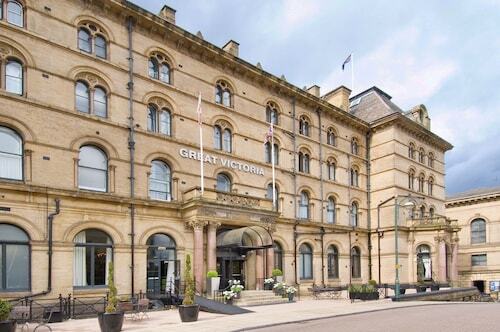 Situated in Bradford, this hotel is within 3 mi (5 km) of Bradford Industrial Museum, Lister Park, and Salts Mill. Bradford Cathedral and Wool Exchange are also within 3 mi (5 km). How Much is a Hotel Room in Bradford? Hotels in Bradford start at $30 per night. Prices and availability subject to change. Additional terms may apply. 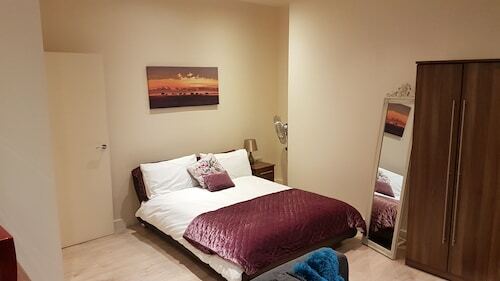 Bradford offers travelers a wide selection of ideal accommodation options to choose from. Travelocity currently lists no less than 31 establishments within a 6-mile (10-kilometer) radius of Bradford's urban core. Bradford's town center is a morning stroll from Travelocity-listed lodgings such as Dubrovnik Hotel and Restaurant and New Beehive Inn - Guest House. Low Moor is a popular accommodation area that is 3 miles (5 kilometers) from the heart of Bradford is where where you can find 2 Travelocity-listed places to stay. Hotels in the neighborhood include the Best Western Bradford Guide Post Hotel and Campanile Bradford. 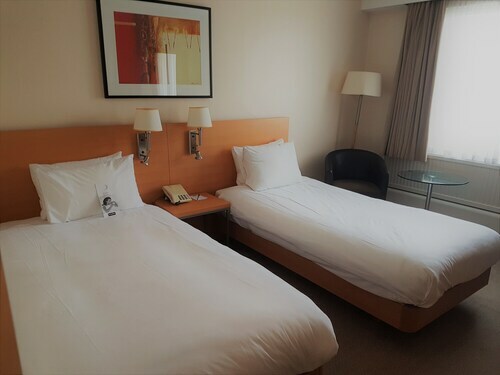 If you're traveling on a tight budget, you'll be happy to find that there is a nice selection of more affordable hotels and apartments in the vicinity of Bradford. 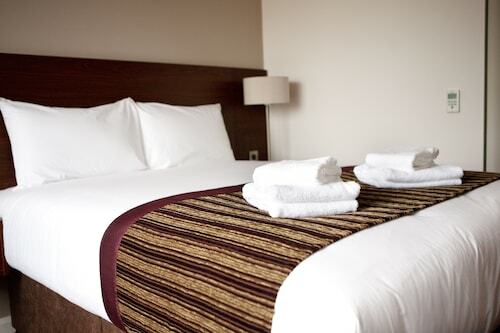 1 mile (2 kilometers) away from Bradford's downtown is where you'll find the Jurys Inn Bradford. The The Bradford Hotel is just 1 mile (2 kilometers) away. Additional lower-cost accommodation options include the Holiday Inn Express Bradford City Centre and the Great Victoria Hotel. Investigate the Devonshire Arms Hotel & Spa along with the Gateway Apartments. 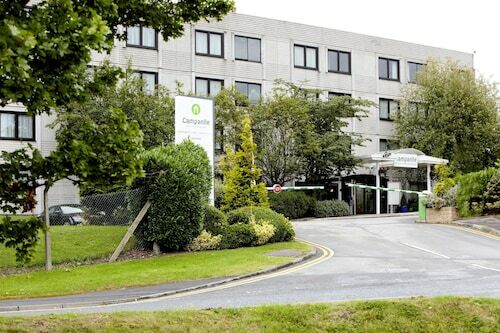 The Devonshire Arms Hotel & Spa is situated 14 miles (22 kilometers) away from the main part of Bradford. The Gateway Apartments, is situated only 10 miles (17 kilometers) away. Another two hotel and apartment options around this area are the Quebecs Luxury Apartments along with the The Chambers - Park Place - Apartments. 10 miles (16 kilometers) away from Bradford, you can reach Ilkley, which is where you can spend the day enjoying Ilkley Moor and Ilkley Toy Museum. 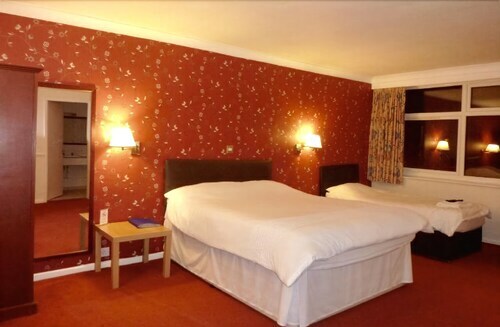 When you want to spend a few nights in Ilkley, check out the Best Western Rombalds Hotel and Craiglands Hotel. Or, you could stay the night in Yeadon, 7 miles (11 kilometers) northeast of Bradford, where you can choose from the Chevin Country Park Hotel & Spa and Hillcroft Barn. The Yeadon Tarn Park and Yeadon Town Hall are a couple of the more frequented attractions to discover should you visit Yeadon. 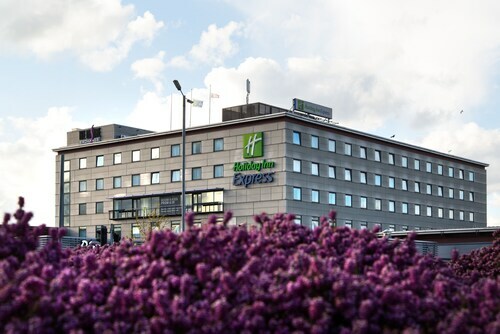 For the modern traveler traveling via Leeds Bradford Airport, you may choose to book Travelocity-listed accommodation at The Half Moon Inn, or Britannia Leeds Bradford Airport Hotel, both of which are conveniently located nearby. I stayed here on a 4 day business trip. The breakfast was very good, the one meal I ate there was very good as well. The room was comfortable and as quiet as any I have stayed at, which is always a big plus for me. The few staff that I interacted with were extremely friendly and efficient. 5.0 Best hospitality in England! The hotel has a great balance between giving you a hint of what it may have looked like in Victorian times while offering modern conveniences and comfort. I loved the two door locked system. Only hotel guests can get to the top floor with rooms. The food was great! The hospitality was amazing! I felt as if I was staying with old friends who owned a bed and breakfast in Bronte country. They are very friendly and welcoming to Americans especially offering ice before we even ask or dream about it. I look forward to staying here again. It was one of the best deals and expediences during my 10 days in England. I left something in the room and they promptly and kindly shipped it right to me as well. Highly recommended!